Pay per click advertising is one of the fascinating techniques in paid marketing especially when you are running your campaign for an eCommerce website to sell product. How Difficult is to selling a product online? Before go with eCommerce startup you must analyses your audience growth and your product niche, that how much your product is more productive to them. There are few things you must know about the online customer. Before proceeding further on this case study, you need to understand the customer/user view point. If they clicked on your advertisement, You Must under the following things before running a Paid campaign on Google adwords advertisement etc. if you are a startup into online business and you are indeed to run a paid online marketing campaign for your e-store, than you must know few things before go with Google Adwords Advertising program. Because when it comes to the world of highly competitive Adwords, finding ways to lower the cpc (cost per click) for your keywords for your google adwords campaign is a vital step in becoming extremely competitive and ultimately succeeding in your online advertising efforts. Let‘s Come to the point how you can reduce the cpc (cost per click) of your Google Adword Campaign? 1) Keywords research: Finding the best keywords for your Google adword campaign can be the best for your Adword Campaign. Before creating your campaign you need to do keyword research, while working on your paid or SEO campaign remembers either SEO/ PPC “keywords are Queen and content is the king”. While using your Google keyword planner, you need to search with your “primary keyword”. Here are few approaches to find new keywords for your Google Adword Campaign which can help you..
Use keyword filter which do had more than 1000+ volume. Because these keywords will help your Ad in fetching the Good CTR. Use your primary keyword and these keywords too in your Adword campaign. Adding Long tail Keyword’s are most attractive way to give your Ad boost to the competitors. You can use long Tail pro keyword tool is the best to find excellent broad keywords for your campaigns. After Adding High performer Keyword’s to your Adword Account. You need to focus on Ad Text. Because if your ads text sounds good to the customer and look’s eye catchy, then they are going too clicked by them many times. This is beneficial for your business so, before moving further on this I had some few tips “How to write a killer Ad text in your google adword campaign that can help to increase your sales and click with low cost CPC. Destination Url : Your website destination Url must be same as with display url. Write your ad that looks Genuine and looks Attractive. Here is an Example. 2) Competitor Analysis: Before developing or implementing your online marketing strategy, you need to invent your competitor’s what they are doing with their marketing strategy. I saw many advertiser do analysis while copying their ads into their adword campaign, so they face lot of problem in such case, Either they don’t had much things to learn. So,don’t copy their direct marketing fundamentals into your campaign, if you do so you will get nothing to learn on this. So, just analyze them what they are doing and what techniques they are using. a) Run some searches in Google to track your keyword’s analysis report. B) Competitor Ad Checklist and their keywords. d) You can use Semrush tool that will easy and excellent tool to find paid competitor result in just single click. You need to buy premium version or you can use 15 day trial version. 3) Landing Page Optimization: As we already know that landing pages are designed to convert the traffic into leads, sales or any website conversion. While optimized landing page ensure that every visit which is either generated from paid search should be converted into funnel leads, signup or sales. So, we need to optimize well related to our advertisement and keyword which are on our adword account. 1) Create your website landing page that attract the user in just one visit. 2) Elaborate your Product or services on your landing page that customer can easily navigate each things easily. For Example if you develop to collect leads from your landing page and you’re running a Google Adword Campaign on Car insurance than your website landing page so much attractive and informative on “Car insurance” that once they click they need to fill the information as required. So make your page so attractive that on single page you share the all information for them that what they are looking for. You can also visit Neil patel guide on landing page optimization. 3) Add you customer reviews on it, try to add primary keyword because these keyword will help your ads while competing others, in reviews too with customer images and use schema.org rating plug-in while developing your website landing pages. 4) Check Your Landing page with A/B testing. You can do with the tool “optimizely.com”. This tool is amazing and helps you in optimizing your website landing page. 5) While developing your landing page, you must know about your audience sight view, before they click on your PPC Ads. As you need to aspect about the audience behavior. 6) Add Your Social Media Presence on it. That will attract your website branding. 7) Add Video regarding your product or service in it. Explain the tutorial how your product works and share your live reviews. Try use Auto Play videos . 8) Create an E-book of free Pdf guide landing page regarding your single product or service. 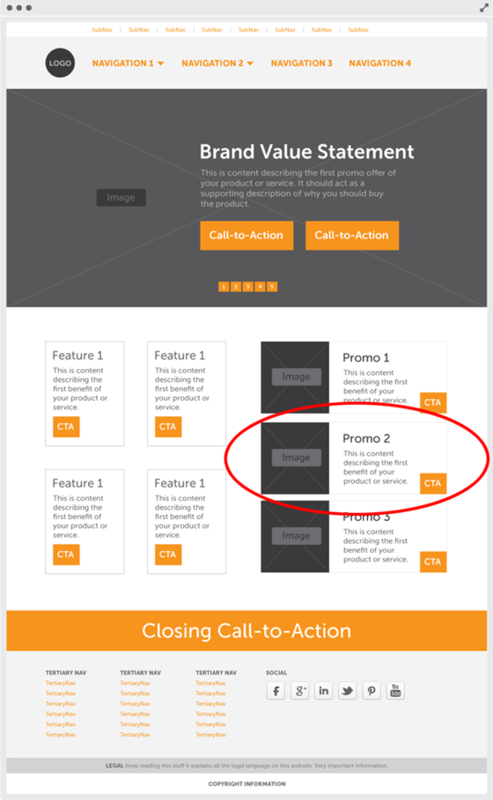 9) Create Attractive Form and add Call-to-Action Button. 10) Use H1 and H2 tags While creating content and add keywords in your landing page. Use Long tail keywords will help you in more conversion; also try to add “keyword related searches. Create long Content using Attractive headlines in your content. 11) Set Goals with your landing page so that the landing page you design can help you with content strategy. and Unbounce are most productive tool for landing development, These are best tools , you no need to code more, just pick your template and use it. 5) Website Loading Speed: Website loading speed matters a lot either you‘re working with SEO campaigns or paid ppc campaign. So make your website fast that load according to user friendly. Reduce your server response time. Use Good quality of hosting service. 6) Create A thank you page: As, We already know about thank you page. So, finally you have made it call-to-action on your landing page with long content and provide all information, thank you page help you to track your customer movement when they do any action as given on your website. Thank you page help your website to push leads, social engagement, Subscriber and download for the particular service or any other Affiliate offers. When user fill form or any Query related to your product, give a great thank you message to them, also add some free pdf guide or coupon offer and also mention your social call to action button on it. Final Verdict: The Ultimate goal of running paid campaign on Google Adwords is lower down you Cost Per click is the most important to get succeed in marketing and improve the other stuff which can increase your skills. So, things are depend upon the testing and implementing them. “The More You learn, the more you will earn” . Hi admin, I have read your article and it’s quite very informative. But can you tell me how to read customer’s mind to analyse and how this trick can increase my sales? Hi admin, thanks for the quick reply. I am looking over keyword planner but i got confused. The confusion is I search for best mobiles under 10000 and there are lots of similar keywords. Then tell me how to analysis them and how I can use them in my website to reduce CPC for Google Adwords campaign? Do you want to search use this keyword for SEO purpose or for PPC purpose , If you want to use this keyword for seo prupose creating content with these keyword or you can use these keyword in post title , Either if you want to use these keywords as i saw in keyword planner they are good but use them all for keyword purpose, But make sure you had Excellent landing page with rich content , use rich text ads while using these keywords also recomend that search neighbour keywords.